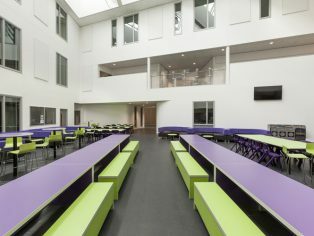 Award-winning Altro XpressLay™ safety flooring has been used throughout a £25 million secondary ‘super school’ in North Wales. At 4,500m2, it is the biggest ever Altro XpressLay installation in the North West. As with most new-build school projects, cost and time were major factors in the construction of Rhyl High. 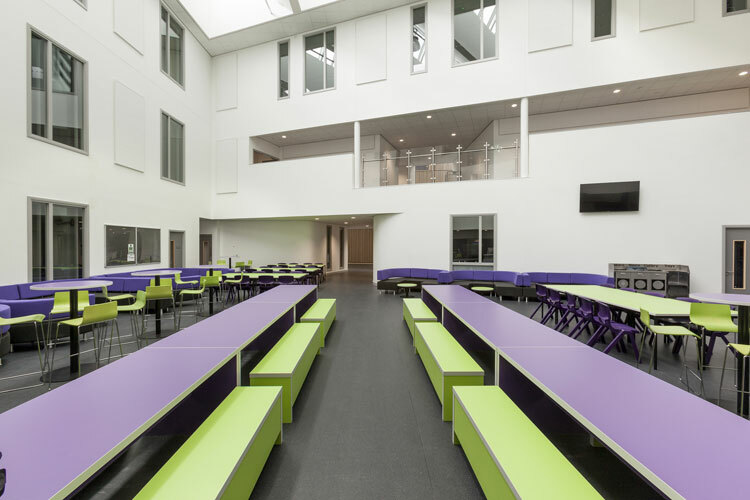 Flooring company Linney Cooper — who were appointed by Willmott Dixon to install the flooring throughout the new school — were well aware of this. But even though Altro flooring had not originally been specified, Linney Cooper recommended switching to Altro XpressLay. 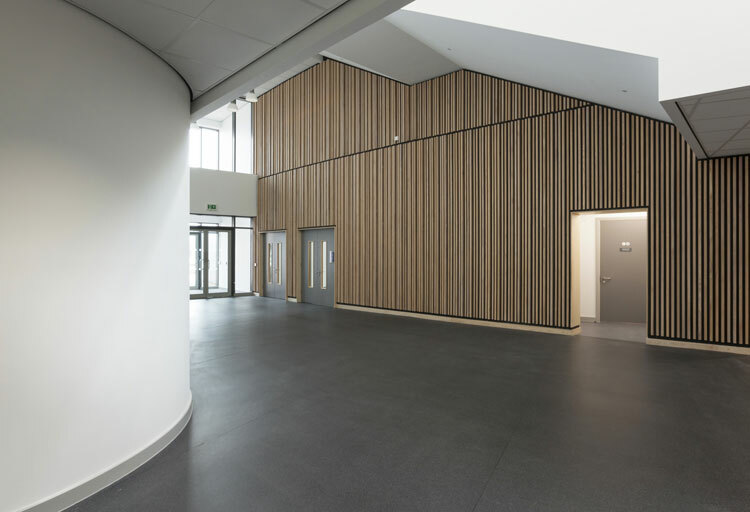 “For the Rhyl High project, Altro XpressLay and its properties presented themselves as a better alternative flooring solution to the one specified, for many reasons. The substrate floor at the new school was a power-floated concrete that would take a great deal of preparation with diamond grinding and laying a dpm. But, crucially, Altro XpressLay can be laid without a dpm, because it can be put down straight onto a damp subfloor or a new concrete floor at up to 97 per cent relative humidity. This means quick and easy installation without having to wait for the substrate to dry. It offers the same guarantees and lifetime slip resistance of other Altro safety flooring. The floor can be removed easily, reused and is 100per cent recyclable at the end of its life. In addition to Altro XpressLay, Altro WhiterockTM White walling and Altro Stronghold™ 30 safety flooring were installed in the school kitchen. These products are often specified together as they deliver a proven combination of safety and hygiene in hard working environments. Altro Whiterock White is the hygienic alternative to tiles that’s impact resistant, grout-free and easy to clean. Its smooth white surface and classic purity make it a timeless choice for any interior. Altro Stronghold 30 achieves Altro’s highest rating for slip resistance and is designed to minimise risk in wet and greasy conditions for the lifetime of the flooring. As well as helping to keep staff safe from slips, it also helps reduce their fatigue, thanks to its 3mm thickness which provides noise reduction and comfort underfoot.